The opportunities for teams to improve their regional qualifying score have run out, and regional selection is upon us. As a reminder, a team’s RQS is calculated by taking a team’s top six scores—three of which must be away—dropping the highest and averaging the remaining five. RQS determines the top 36 teams that move on from the regular season to regionals. The top 18 teams will be seeded while the following 18 will be placed geographically, with a few exceptions based on conference rematches, for example. The No. 1 team pairs with Nos. 12 and 13 while No. 2 pairs with Nos. 11 and 14 and so forth. The six regional hosts for 2018 are Alabama, Minnesota, N.C. State, Ohio State, Penn State and Utah. Tune into the regional selection show on NCAA.com/live at 4 p.m. ET on Monday, March 26 to find out where each team will go. As for individuals, RQS is used not only to determine who competes at regionals without a team but regular season All-America honors as well. 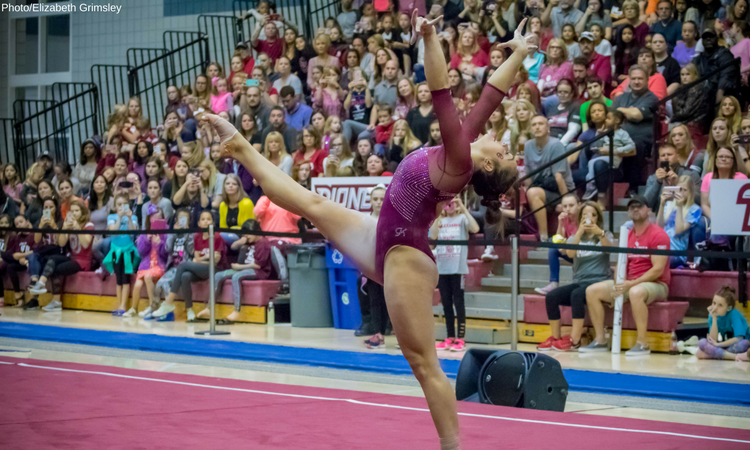 The top eight gymnasts on each event and the all around, plus ties, will be named regular season first-team All-Americans while those finishing Nos. 9-16 will be named to the second-team. Final regular season rankings for 2018 can be found below.